Priest Holmes/Larry Johnson, Ladanian Tomlinson/Michael Turner, Arian Foster/Ben Tate; the term “handcuff” is synonymous to fantasy football players. It is now no different in fantasy hockey. Gone are the days of goalies making 75 starts in a single season, it just does not happen anymore. The physical taxation on the body due to the butterfly position style necessitates that goalies get their proper rest, and having a competent backup is a must. Prior to your upcoming draft, let’s take a look at 3 potential goalie handcuff pairings that could bring you success throughout the season. Not only could you benefit from both goalies, but you may also be able to take advantage of great value in the mid to later rounds with both the starter and backup. Brian Elliott/Jake Allen (St Louis): This is the perfect example of a handcuffing situation that could be a big hit this season. The veteran Elliott and the up and coming youngster Allen. Elliott will be the starter, coming off a great year with a 1.96 GAA and .922 SV%, but he is best served in slightly better than small sample sizes. His career high in starts is 48 in 2009-10 with Ottawa; the 2014-15 St Louis Blues are a far superior team to that Senators squad, as they bring back essentially the same lineup from last year’s 111 point team (add in strong two-way possession center Paul Stastny). If Elliott gets 45-50 starts, look for a slight regression in his SV% (career of .911), but the wins will be there as well as excellent shutout opportunities; in the last 3 years, he has 16 shutouts in 81 starts, better than 1 in every 5 starts. The 24-year-old Allen earned AHL Goalie of the Year honors in 2013-14 while playing for AHL Chicago, where he went 33-16-0 with a 2.03 GAA and .927 save percentage. His numbers were predictably less impressive in a 15-game cameo with the Blues in the lockout-shortened 2012-13 campaign, but he’s developed significantly since then and should make for a good spot start option most any time he’s guaranteed to be in the net. Handcuff Potential: This is a 5-handcuff goldmine; the Blues should win anywhere from 47-52 games. Draft both with confidence of those numbers, plus chip in 8-10 team shutouts and this handcuff pair is well worth it. Yes, LA is the defensive-minded and advanced statistical possession team Edmonton’s front office only dreams of being, but from a Yahoo! standard scoring perspective, Scrivens is actually not a bad, late-round option. He averaged seeing 28 shots/game for the Kings, and 34 shots/game for the Oilers. Take out the 59 save gem, and it’s still 32 per outing. So, he will see plenty of rubber regardless, and the Oilers, believe it or not, should be much-improved in their own zone, adding possession darling Mark Fayne on the blueline. Their Corsi numbers should improve from 28th in the league to somewhere in the low 20’s, which could mean a slight dip in shots on goal, but the win total for the team could see a spike from last years paltry 29. Scrivens has potential for 20-25 wins. Victor Fasth is a definite wild card heading into 2014-15. He came into the NHL later than most goaltenders, but has shown plenty of talent and poise. After pushing Jonas Hiller for a starting job in his rookie season with Anaheim, Fasth dealt with injuries before being traded to the Oilers in 2013-14. He played only seven games in net for the Oilers, but put up better numbers than Ben Scrivens (2.73 GAA and .914 SV%). At 32, Fasth should expect to see 30-35 starts and could potentially beat out Scrivens. The two will battle for the starting gig, and could end up in a timeshare. Handcuff Potential: Both will see their fair share of rubber regardless of who is playing, and fantasy value comes into play only if the Oilers become a much better defensive team. Both should be available some time after round 10, so the gamble may be worth while. Frederick Andersen/John Gibson (Anaheim): This another high-profile goaltending duo that warrants careful monitoring during training camp. 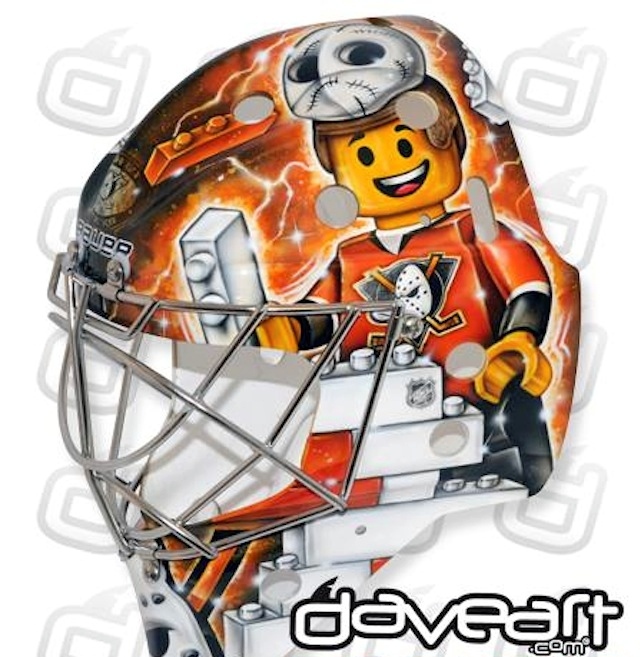 Both Andersen and competitor Gibson ended up surpassing incumbent Jonas Hiller on the depth chart for the Ducks during the postseason, but Andersen suffered an MCL sprain in round 2 against the Kings that allowed Gibson to leave the lasting impression (3-0, 1.33 GAA .954 SV% in regular season action & 2-2/2.59/.919 vs LA). Andersen, however was nearly as good as Gibson over a much larger sample of last season (20-5-0 with a 2.29 GAA and .923 save percentage). The greater amount of experience confers an early advantage to Andersen in the job battle, but whomever opens the season as the No. 1 goalie will largely earn the gig based on training camp performance. 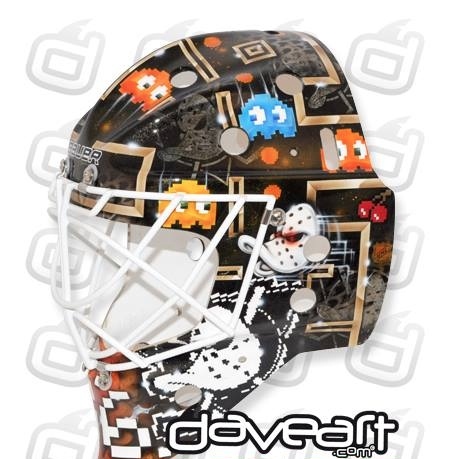 Gibson is the future, and if you can, draft/stash him in keeper formats, but Andersen has done nothing to convince me he won’t be fighting for a starting gig with the Ducks this season. And, based on his rookie numbers as Jonas Hiller’s backup this past season, he deserves a shot. The Ducks’ coaching staff may just have to choose their ‘tender based on mask creativity; Gibson (left) and Anderson (right). Handcuff Potential: This battle is right up there comparable to St. Louis, based on Anaheim being a superb regular season team that had 116 points last year and added Ryan Kesler. The only red flag to me is that Andersen could very well seize the starting gig and see 57-62 starts, leaving Gibson as a true backup. But if you can get Andersen — and Gibson for that matter — late enough in a draft as a No. 3 and No. 4 goaltender, you could hit a fantasy goldmine should one emerge over the other. Derek Gibson is The Sports Script’s resident fantasy hockey guru. Be sure to follow him on Twitter @Extra_Attacker!